The first edition of ModelUnitedConference (MUN), VIDMUN 2018 was inaugurated on Nov 17, 2018 at the sprawling and scenic campus of the school. Director Principal, Ms Dhriti Malhotra welcomed the Spokesperson of Amnesty International, Ms Harshita Shroff, who was also the Chief Guest for the day. Ms Aarti Bansal also graced the occasion with her presence. 314 delegates turned out from various schools of Delhi NCR. 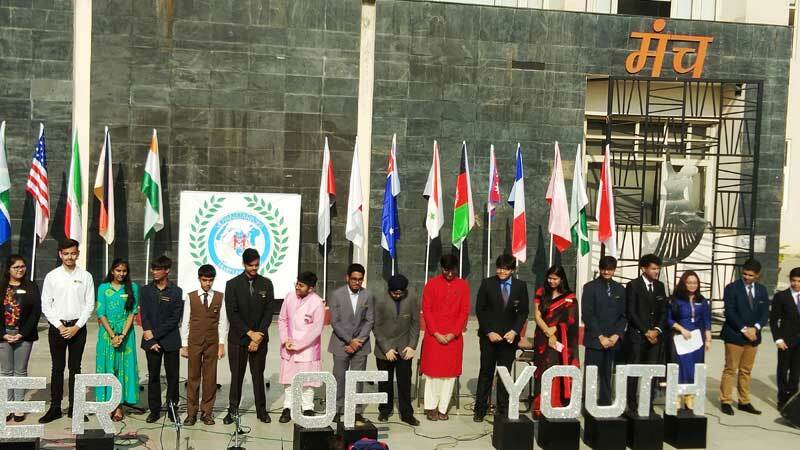 The opening ceremony kick-started with an enthralling performance by the school choir. The conference comprised of 9 committees. Debates and discussions were held on various issues like preservation of cultural identities and reforms in the peacekeeping forces, electoral reforms or tariffs, abortion laws and the freedom movement.